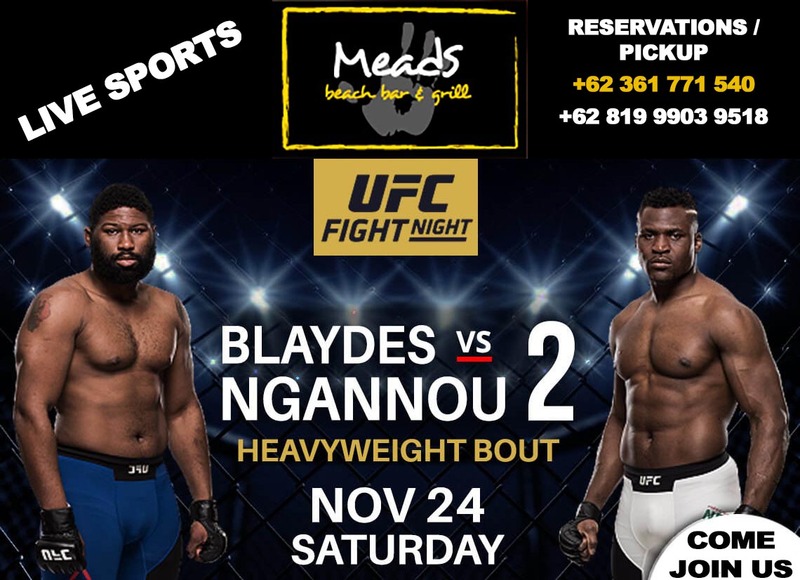 Blaydes vs. Ngannou 2 also known as UFC Fight Night 141 mixed martial arts produced by the Ultimate Fighting Championship LIVE @ Meads in Bali on November 25, 2018 from the Cadillac Arena in Beijing, China. A heavyweight rematch between former UFC Heavyweight Championship challenger Francis Ngannou and Curtis Blaydes is the event headliner. The pairing met previously in April 2016 at UFC Fight Night with Ngannou winning the fight via TKO stoppage at the conclusion of the second round. Will this be a repeat?